The U.S. District Court for the Southern District of New York dismissed this declaratory judgment action because the court lacked subject matter jurisdiction to hear the lawsuit. Plaintiff Halo Lifestyle sought a ruling that its HALO SPORT mark did not infringe on defendant's HALO FARMS marks, claiming that defendant's actions, including the filing of notices of opposition, suggested that defendant will bring a legal action for trademark infringement, and therefore that a case or controversy existed as to the issue of infringement. Not so, said the court. Halo Lifestyle LLC v. Halo Farm, Inc., 18 Civ. 9459 (S.D.N.Y. April 16, 2019). Defendant Halo Farms asserted that it has not "sought or threatened to sue Lifestyle for use of the HALO SPORTS mark or any other Lifestyle Marks." Plaintiff Lifestyle pointed to the allegations in the notices of opposition claiming that registration and use of plaintiff's marks could cause consumer confusion. Lifestyle also claimed that Halo Farms had made oral threats and that it has sued other companies. The court, however, found no actual case or controversy under the Declaratory Judgment Act. Second Circuit law is well settled that the filing of an opposition "is not by itself a charge or warning of a future charge of infringement." Accordingly, absent any allegation that Halo Farm has done more - to wit, that it has threatened Halo Lifestyle with litigation, sent a cease-and-desist letter to Halo Lifestyle, or taken or made statements of a similar character - Halo Lifestyle's claim of a justiciable controversy would fall short. Plaintiff Lifestyle did not make any such allegations. There was no explicit oral threat of an infringement action, nor any such written communications. Defendant Halo Farm's allegations in the notices of opposition were not tantamount to a threat of litigation. As indicated, the case law is clear that a notice of opposition alone is not a basis for declaratory judgment jurisdiction. Concluding that it lacked subject matter jurisdiction to adjudicate the matter, the Board granted Halo Farm's motion to dismiss. TTABlog comment: I count at least ten oppositions. In the current issue (here) of the Columbia Journal of Law & the Arts (Volume 42, No. 3 (2019)), a cavalcade of professors and attorneys discuss the right of publicity from most every angle one can imagine. Enjoy! The CAFC issued a per curiam affirmance under Fed. Cir. R. 36, upholding the TTAB's ruling dismissing an opposition because the opposer failed to respond to a Fed. R. Civ. P. 12(b)(6) motion to dismiss. Opposer NetxGen mistakenly believed that the Board would determine the motion on the merits even without a response, rather than consider the motion conceded. NextGen Biologics, Inc. v. Axolotl Biologix, Opposition No. 91236432 (March 29, 2019), affirmed per curiam, Appeal No. 2018-2016 (Fed. Cir. April 15, 2019). Trademark Rule 2.127(a) states: "When a party fails to file a brief in response to a motion, the Board may treat the motion as conceded." After the Board dismissed the opposition with prejudice, opposer requested reconsideration. More pointedly addressing Opposer’s mistaken belief, the Board expects attorneys to be cognizant of their duties as officers of the court and to file proper and timely responses to motions; attorneys may not rely upon the Board to act as a surrogate advocate. See The General Tire & Rubber Co. v. The Gendelman Rigging & Trucking Inc., 189 USPQ 425, 427 (TTAB 1976). The Board pointed out that opposer could have filed an opposition to the motion, or an amended notice of opposition within 21 days after service of the motion to dismiss (FRCP 15(a)(1)(B), or both. When opposer did neither, the Board followed its ordinary practice and stated authorities in granting applicant's motion as conceded. Since opposer did not point to any error by the Board, the request for reconsideration was denied. TTABlog comment: Lesson: read the Rules. Chief Judge Rogers has announced the appointment of Mark A. Thurmon as the new Deputy Chief Administrative Trademark Judge for the TTAB. The new Deputy will join the Board on May 28, 2019. Mark A. Thurmon has more than 25 years of experience as an attorney in private practice, as in-house counsel, and as a professor of law. Mr. Thurmon’s primary focus in his ten years of private practice and his sixteen years as a law professor has been the field of trademarks and trademark litigation. The private practice positions held by Mr. Thurmon include Associate in the Intellectual Property section of Arnold, White and Durkee, an Of Counsel position with the firm of Fulbright and Jaworski, and an Of Counsel position with Roy, Kiesel, Ford, Doody & Thurmon, APLC. Mr. Thurmon’s in-house position as IP counsel was with W-H Energy Services, Inc. He has also provided pro bono legal services to the Baton Rouge North Economic Development District. In addition to his work experience involving intellectual property matters, Mr. Thurmon gained valuable experience as a manager during his five years of service as a Naval Officer. For his service, the Navy awarded Mr. Thurmon the Navy Achievement Medal and the Humanitarian Service Medal. Teaching experience includes work as an Adjunct Professor of Law for the University of Texas School of Law; as an Assistant Professor of Law for the Levin College of Law at the University of Florida; and his current position as Professor of Law at the Southern University Law Center. At Southern University, he also serves as Director of the Technology & Entrepreneurship Clinic, and previously chaired the Curriculum Committee. Mr. Thurmon has served on various committees of the American Intellectual Property Law Association (AIPLA), including the Amicus Committee and the AIPLA Quarterly Journal Editorial Board, both of which attest to his skill as a writer and editor. Mr. Thurmon is an accomplished public speaker and will be able to handle many outreach activities for the TTAB involving USPTO Regional Offices and IP stakeholders. Topics of his written work include federal trademark remedies, IP issues for Small Businesses, IP issues for Food Entrepreneurs, Practical Solutions to Internet Trademark Problems, and substantive topics such as Functionality. Mr. Thurmon has also presented Congressional testimony on procedural issues raised by international Internet trademark disputes. Mr. Thurmon is a graduate of Louisiana State University, with a bachelor’s degree in electrical engineering, and earned his law degree from the Duke University School of Law, with high honors. Precedential No. 8: TTAB Rejects Designation of Documents and Responses as "Attorneys' Eyes Only"
In a precedential ruling, the Board considered Petitioner USPA's motion challenging Respondent McLane's confidentiality designations applied to certain documents and interrogatory responses pursuant to the Board's Standard Protective Order. The Board granted petitioner's motion in large part, requiring re-designation of the responses and some of the documents. 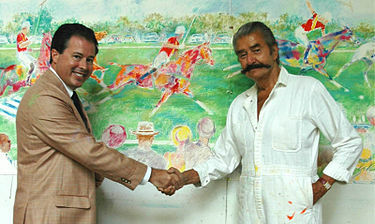 United States Polo Association v. David McLane Enterprises, Inc., Cancellation No. 92066233 (March 25, 2019) [precedential] (Opinion by M. Catherine Faint, Interlocutory Attorney). The Board’s Standard Protective Order ("SPO") provides for two tiers of protected information: (1) Confidential and (2) Confidential – For Attorneys’ Eyes Only (trade secret/commercially sensitive) (hereafter “AEO”). The Board cited TBMP Section 412.01 [although the TBMP is not the law - ed.] for an explanation of the applicability of those two terms. The SPO (at paragraph 1) itself describes generally the types of information that may qualify as AEO. Of course, the designations dictate the level of protection accorded: i.e., who may have access to the information and materials. Essentially, parties, including inside counsel, have access to "Confidential" information but not AEO information. In either case, the information is shielded from public view by the Board. Respondent bore the burden of demonstrating the appropriateness of its confidentiality designations. See SPO para. 14. Because the parties were unable to agree on a modification of the SPO (respondnet wanted to restrict access to "Confidential" information to a single in-house attorney), the Board was required to decide which of the two "default designations" applied to the documents and information in dispute. Interrogatory responses: The Board reviewed three of Respondent McLane's interrogatory responses, which concerned the identification of agreements, gross sales figures under the mark at issue, and the identity of persons who communicated with McLane regarding use of the mark. McLane had designated its responses AEO, asserting that Petitioner USPA, a direct competitor, would gain an advantage in future business deals if armed with this information. The Board, however, observed that the SPO states that information protected under the order may be used only in connection with the Board proceeding, and each party is obligated to maintain the confidentiality of the information and must exercise reasonable care in that regard. McLane failed to show that disclosure of the information to Petitioner USPA would cause any injury, "let alone a clearly defined, serious injury," to McLane's business. Nor did McLane produce "any evidence" supporting its fear that USPA would violate the protective order by misusing the information provided. The Board did allow the "Confidential" designation for these responses, since gross sales figures are "routinely" treated as confidential in Board proceedings and since individual third parties named in the responses presumably expected their identities to remain private. (1) agreements with ESPN. These documents were more than 10 years old, and therefore "stale." The Board allowed them to be labeled "Confidential." Documents reflecting negotiations qualified as AEO. (2) financing and operating agreements. Although more than ten years old, these documents disclosed the shares of each of respondent's members, and therefore are appropriately designated AEO. (3) sponsorship opportunities. All except one of these documents were appropriately designated AEO, since they disclose respondent's marketing strategies. A single document, indicating what respondent would charge sponsors in 2008, must be re-designated as "Confidential." (4) daily planner entries and notes. Respondent failed to address these documents, but the Board allowed them to be designated as "Confidential," since they include third-party personal information. (5) respondent's plans in 2017. Again, respondent failed to address these documents. Two appeared to be publicly available announcements meriting no protection under the SPO. The remaining document included email correspondence and proposed business terms and merited the "Confidential" designation. (6) invoices. Respondent again failed to address these documents. The invoices related to charges for hosting and domain registration services and, because they contain information regarding the cost of maintaining respondent's website, they may be designated "Confidential." The Board ordered proceedings to resume in accordance with a new scheduling order. 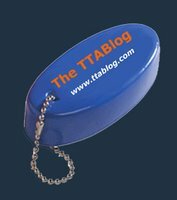 TTABlog comment: Why does the Board suspend proceedings except for the deadline for serving expert disclosures? Well, this precedential ruling may put a damper on what appears to be a common practice of designating most everything as AEO. What the Board needs to do is look more closely at the issue of relevance. For example, why are ten-year old licensing agreements relevant to whether consumers would be confused today? MEET THE BLOGGERS, widely recognized as the best non-INTA event ever devised, will be convened for the fifteenth time (thus "MTB XV") on Monday, May 20th, 8:00 - 10:00 PM, at Kings Dining and Entertainment (a/k/a KINGS BOWL), 60 Seaport Boulevard (a few blocks from the Convention Center). Come and meet some of the best trademark attorneys in the world, and while you're at it say hello to the eight bloggers hosting this year's event. For details, directions, and the RSVP link, go HERE. A special thanks to our premier sponsor, Wolf Greenfield, for supporting this event. TTABlog Test: Is THE BEAUTIFUL THINGS Confusable with COSABELLA and BELLA COSA for Retail Store Services? 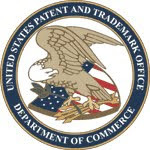 The USPTO refused to register the mark THE BEAUTIFUL THINGS, in standard character form, for "operating on-line marketplaces featuring clothing and jewelry," finding a likelihood of confusion with the registered marks COSABELLA for retail apparel stores, and BELLA COSA for retail jewelry store services, both of which marks translate to "BEAUTIFUL THING." Applicant contended that the differences in appearance and sound of the marks outweigh the similarity in meaning. How do you think this came out? In re Beautiful Dreamer LLC, Serial No. 87161372 (April 8, 2019) [not precedential] (Opinion by Judge Karen Kuhlke). The Board found the services recited in the application and cited registration to be legally identical, and it therefore presumed that they are offered through the same trade channels to the same classes of consumers. In light of the differences in appearance and sound between applicant's mark and the cited marks, the examining attorney relied on the doctrine of foreign equivalents in maintaining that the marks are similar in connotation and that this similarity suffices to support a finding of likelihood of confusion. The Board observed, however, that "such similarity as there is in connotation [between the foreign word mark and the English word mark] must be weighed against the dissimilarity in appearance, sound, and all other factors, before reaching a conclusion on likelihood of confusion as to source.” (quoting In re Sarkli, Ltd., 721 F.2d 353, 220 USPQ 111, 113 (Fed. Cir. 1983). The Board found that "the connotation or meaning of the marks is the same, other than the fact that the marks in the registrations are in singular form and the applied-for mark is in plural form." It also found that the wording “beautiful things” is somewhat laudatory and to thus "falls more on the suggestive end of the spectrum." Thus, regardless of whether a consumer may stop and translate COSABELLA or BELLA COSA, the suggestiveness of these marks lessens the possibility that confusion is likely. [Why is that? They all suggest the same thing, and even weak marks are entitled to protection. - ed.]. TTABlog comment: Some practitioners think it's a "beautiful thing" any time a USPTO refusal is reversed. But these doctrine of equivalent cases are troublinglhy inconsistent, aren't they? At the request of the USPTO [letter here], the CAFC has re-designated as precedential its January 14th opinion in In re Siny Corp., upholding the decision of a divided TTAB panel. The Board had affirmed a refusal to register the mark CASALANA for "knit pile fabric made with wool for use as a textile in the manufacture of outerwear, gloves, apparel, and accessories," on the ground that Applicant Siny Corp. failed to submit an acceptable specimen of use. Siny contended that the information provided at its website qualified as a display associated with the goods, but the panel majority disagreed. [TTABlogged here]. In re Siny Corp., 2019 USPQ2d 11362 (Fed. Cir. 2019) (Opinion by Chief Judge Prost) [precedential]. The Lanham Act provides for registration of a mark based on use of the mark in commerce. 15 U.S.C. § 1051(a). A mark is deemed in use in commerce on goods when, inter alia, “it is placed in any manner on the goods or their containers or the displays associated therewith or on the tags or labels affixed thereto.” Id. § 1127 (emphasis added). Siny submitted a specimen of use consisting of a webpage printout, arguing that the specimen included a means to purchase the goods: namely, the phrase "For sales information:" followed by a phone number and email address. The examining attorney rejected that argument, maintaining that the phrase was by itself insufficient to allow consumers to make a purchase; rather, the phrase indicated only how consumers could obtain more information necessary to make a purchase. He noted the absence of necessary ordering information, such as minimum quantities, cost, payment options, and shipping information. On appeal to the Board, Siny contended that its webpage specimen constituted a "display associated with the goods." The Board "appreciated Siny’s contention that because the goods were industrial materials for use by customers in manufacture, the ultimate sales transaction may have to involve some assistance from Siny’s sales personnel." Nonetheless it found that although some details are left to be worked out by telephone, virtually all important aspects of the transaction must be derived from information not available on the web page. Therefore, the Board found that the tweb page is not a point of sale display. The CAFC observed that whether a specimen qualifies as a display associated with the goods is a factual question, subject to review under the "substantial evidence" standard. Siny’s main argument on this appeal was that the Board applied “overly rigid requirements” in determining that Siny's website specimen did not qualify as a display associated with the goods. Siny correctly observed that the CAFC has cautioned against bright-line rules in this context. See In re Sones, 590 F.3d at 1288–89 (holding that “a picture is not a mandatory requirement for a website-based specimen of use” and disapproving of the “rigid, bright-line rule” the PTO applied). However, the CAFC disagreed with Siny's contention that the Board applied improperly rigid requirements. "Rather, the Board carefully considered the Webpage Specimen’s contents and determined, on the record before it, that the specimen did not cross the line from mere advertising to an acceptable display associated with the goods." Unable to find that the Board’s decision lacked substantial evidence, the court affirmed the decision. TTABlog comment: Although the Board's split decision may not have been improperly rigid, there are those who think more flexibility should be allowed in this Internet Age. See the dissent of Judge Angela Lykos in the Board's opinion. It seems to me that purchasers of the goods involved here are relatively sophisticated buyers who do not expect to make a purchase based merely on some information on a webpage. I am delighted to see that the TTAB has given equal time to the White Sox, after making us read through that drivel about the Cubs finally winning the World Series after a 108-year drought. The Board granted a motion for summary judgment in this opposition to registration of the mark MIRACLE ON 35th STREET for printed materials and various clothing items, ruling that Applicant William W. Yedor lacked a bona fide intent to use the mark on the identified goods at the time of filing his Section 1(b) application. A&H Sportswear Co., Inc. v. William W. Yedor, Opposition No. 91235843 (March 29, 2019) [precedential]. The evidentiary burden to establish a bona fide intent to use is not high, but more is required than “a mere subjective belief.” The objective evidence must indicate an intention that is “firm” and “demonstrable.” The absence of documentary evidence supporting an applicant’s bona fide intention to use the mark in commerce establishes a prima facie case that the applicant lacks such intention. The applicant may overcome that presumption by presenting facts that adequately explain or outweigh its failure to provide documentary evidence. See Spirits Int’l., B.V. v. S.S. Taris Zeytin Ve Zeytinyagi Tarim Satis Kooperatifleri Birligi, 99 USPQ2d 1545, 1549 (TTAB 2011); Honda Motor Co. v. Winkelmann, 90 USPQ2d 1660, 1662-64 (TTAB 2009); L.C. Licensing Inc. v. Berman, 86 USPQ2d 1883, 1891 (TTAB 2008); Commodore Elecs. Ltd. v. CBM Kabushiki Kaisha, 26 USPQ2d 1503, 1507 (TTAB 1993). Applicant Yedor, appearing pro se, never got to first base. He claimed that he "intends to sell T-shirts, owns the domain name whitesoxshirts.com, has one shirt design, gave friends and family a “prototype T-shirt” in 2005 [eleven years before his filing date], and plans to build a website in the event the Chicago White Sox win the World Series." [The White Sox did win the World Series in 2005 - ed.]. Yedor produced only one document during discovery, an image of the 2005 t-shirt. He identified no other products that he planned to sell and no classes of purchasers for his goods. Yedor identified no documents showing use of, or steps toward using, his mark on any products, or showing advertising, promotions, media, marketing plans, business plans or packaging materials or expenditures. He did not produce documents identifying any outlets, distributors or resellers through which he intended to offer or offers his goods. Furthermore, Yedor responded that he has no documentation of any business or marketing plan; any prospective purchasers, or any websites to display his products. The Board observed that the lack of documentation from the time of filing is "highly probative" of Yedor's lack of a bona fide intent to use the applied-for mark at that time. Although evidence that post-dates the filing date may be probative of an applicant's intent at the time of filing, here the only document that Yedor produced was dated eleven years before the filing date of his application. Neither the filing of the application nor Yedor's ownership of the domain name whitesoxshirts.com constitute evidence that he had a bona fide intent to use the mark as of the filing date. Yedor did not any evidence demonstrating that he engaged in any activities "even somewhat contemporaneous with the February 26, 2016 filing date." Yedor asserted that he planned to launch his business once the legal issue is resolved and "once the White Sox fan base has something to cheer about – making marketing efforts worthwhile and successful.” The Board, however, observed that Yedor’s hopes are insufficient to show bona fide intent. See Lincoln Nat’l. Corp. v. Anderson, 110 USPQ2d 1271, 1277 (TTAB 2014). The Board concluded that opposer established the absence of a genuine dispute of material fact regarding Yedor's lack of the requisite bona fide intent to use his mark at the time of filing his application; that Yedor failed to rebut this prima facie case with any evidence that bears upon his intent to use; and that opposer is entitled to judgment as a matter of law. TTABlog comment: Oh well. At least, as a White Sox fan, Mr. Yedor is used to losing. TTABlog Test: Is “BLUEBERRY MUFFIN” Generic for Beer? [This guest post was written by Kira-Khanh McCarthy, a 2L at University of Notre Dame Law School.] The USPTO refused to register BLUEBERRY MUFFIN, in standard characters, finding the term generic for “beer.” Applicant Humboldt Street Collective had conceded that the term is merely descriptive by amending its initial application to seek registration on the Supplemental Register, but Examining Attorney Natalie Kenealy nonetheless refused registration under Section 23(c). How do you think this came out? In re Humboldt Street Collective LLC, Serial No. 87152277 (March 29, 2019) [not precedential] (Opinion by Judge Peter Cataldo). The TTAB applied its standard two-part test to determine whether BLUEBERRY MUFFIN is generic: (1) what is the genus of the goods at issue and (2) whether relevant purchasers understand that designation primarily to refer to that genus of goods. Genus of the Goods at Issue: Both the Examining Attorney and Applicant agreed that the proper genus of the goods identified in the application is “beer.” Furthermore, Applicant’s own specimen of use (see above) indicated that BLUEBERRY MUFFIN is used as a designation of one of Applicant’s house beers. The Relevant Purchasers: The Examining Attorney and Applicant disagreed on who are the relevant purchasers of Applicant’s goods. The Examining Attorney asserted that “the relevant public comprises ordinary consumers who purchase applicant’s goods.” Conversely, Applicant maintained that the relevant public is “craft beer drinkers.” The Board found that because the genus of Applicant’s goods is “beer,” without limitation as to type (i.e., craft brews, etc. ), the relevant consumers are ordinary members of the public who are beer drinkers. When an applied-for term “directly names the most important or central aspect or purpose of [an] applicant’s goods” and would be understood by the relevant consumers as referring to a category of those goods, the term is generic. See In re Cent. Sprinkler Co., 49 USPQ2d 1194, 1199 (TTAB 1998) (finding ATTIC generic for automatic sprinklers for fire protection). Here, the record shows that flavor, including flavors resulting in beer tasting like another food or beverage, is an important and central aspect for beer, and blueberry muffin refers to a specific flavor of beer for Applicant and several third parties. See A.J. Canfield Co. v. Honickman, 808 F.2d 291, 1 USPQ2d 1364 (3rd Cir. 1986) (CHOLCOATE FUDGE [sic] generic for diet sodas with chocolate fudge flavor). As a result, the Board found that consumers would understand Applicant’s proposed mark to refer to a subset of blueberry muffin flavored beers. BLUEBERRY MUFFIN was therefore found to be generic and incapable of distinguishing Applicant’s goods. And so, the Board affirmed the refusal to register Applicant’s mark on the Supplemental Register, allowing competitors to freely use the term to refer to their own goods and services. TTABlog comment: Would Chocolate Chip Blueberry Muffin be a sub-sub-genus? Text Copyright John L. Welch and Kira-Khanh McCarthy 2019. [This guest post was written by Amanda B. Slade, an associate in the Trademark Group at Wolf, Greenfield & Sacks, P.C.]. The USPTO issued a Section 2(e)(1) merely descriptiveness refusal of FUR FREE FUR, in standard character form, for goods including handbags, tote bags, suitcases, and pet accessories in Class 18 and clothing items such as suits, jackets, parkas, dresses, ear muffs, shawls, scarves, mittens, and gloves in Class 25. The Applicant is the world-famous fashion designer and animal rights activist, Stella McCartney, daughter of the Beatles member Paul McCartney. On this appeal, a divided panel of the Board rendered a 2-1 decision. How do you think it came out? In re Stella McCartney Ltd., Serial No. 87410072 (Mar. 29, 2019) [not precedential] (Opinion by Judge Thomas Shaw; dissenting opinion by Judge Linda A. Kuczma). Here, both the individual components and the composite result are descriptive of Applicant’s goods and do not create a unique, incongruous, or nondescriptive meaning in relation to the goods. . . . Applicant has taken the established term of art “fur free” and merely added the highly descriptive if not generic term “fur” which is defined as both animal fur and material made in imitation of animal fur. Accordingly, the Board majority found that the mark was suggestive, for when a consumer encounters the mark, the incongruous phrase “requires some imagination, thought, or perception to reach a conclusion as to the nature of the goods.” StonCor Grp., Inc. v. Specialty Coatings, Inc., 759 F.3d 1327, 111 USPQ2d 1649, 1652 (Fed. Cir. 2014). 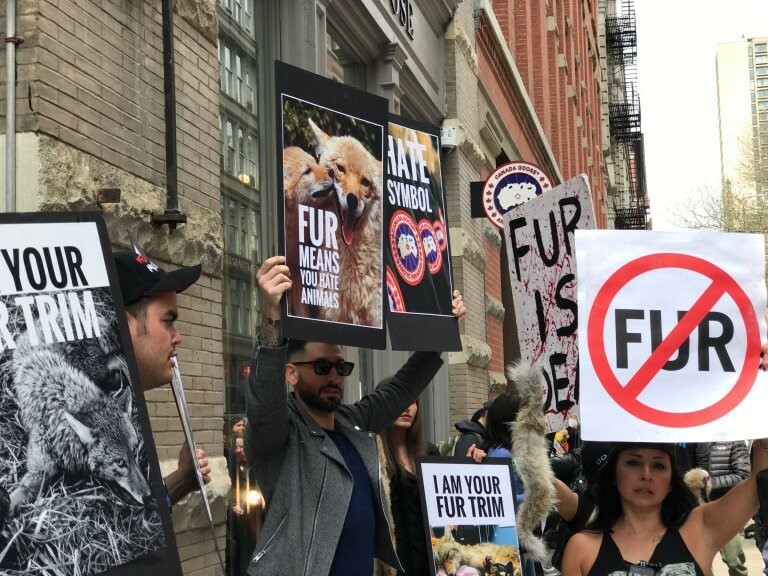 The Board agreed with the Applicant that FUR FREE FUR’s “internal inconsistency forces consumers to exercise a higher level of thinking to perceive its meaning, which is not immediately clear or obvious, let alone merely descriptive.” As a result, the majority sided with McCartney, finding that the mark was suggestive rather than descriptive and reversing the refusal to register. Judge Linda A. Kuczma wrote a convincing dissent. Because the “mark uses ‘fur free’ in place of ‘faux’ to let consumers know that” the Applicant’s goods do not contain animal fur, she found that “[b]oth the individual components of Applicant’s mark, as well as the composite mark, describe Applicant’s goods.” Therefore, she concluded that the mark was merely descriptive, for "no imagination, thought or perception is needed to arrive at the characteristics of Applicant’s goods." TTABlog comment: Well, which side are you on? Affirm or reverse? Text Copyright John L. Welch and Amanda B. Slade 2019.